fluffnflowers: Yay for front page! 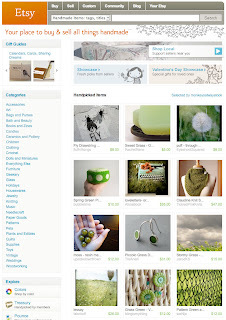 Well, that lovely treasury that monkeysalwayslook put me in (I'll call her the evil wench, since she objected to the 'nice people' label) made it to the front page! It had my fly bags in it, and I think my little fluffnfixings shop got more views today than it normally gets in a month!